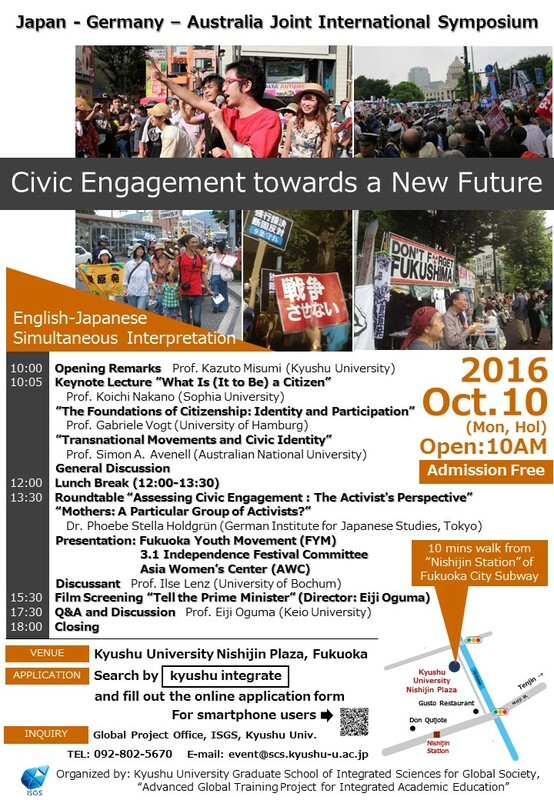 In this course we investigate forms of activism and civic involvement in contemporary Japan. The seminars will center around the history and development of civil society in modern Japan and touch on themes such as the Japanese environmental movement, the Okinawan movements, and post.3-11 movements. Through close investigation of the vibrant and diverse realm of social movements and civic initiatives in Japan students will be encouraged to consider questions of democratization and democratic citizenship, the environment, globalization, gender, security, and consumption.